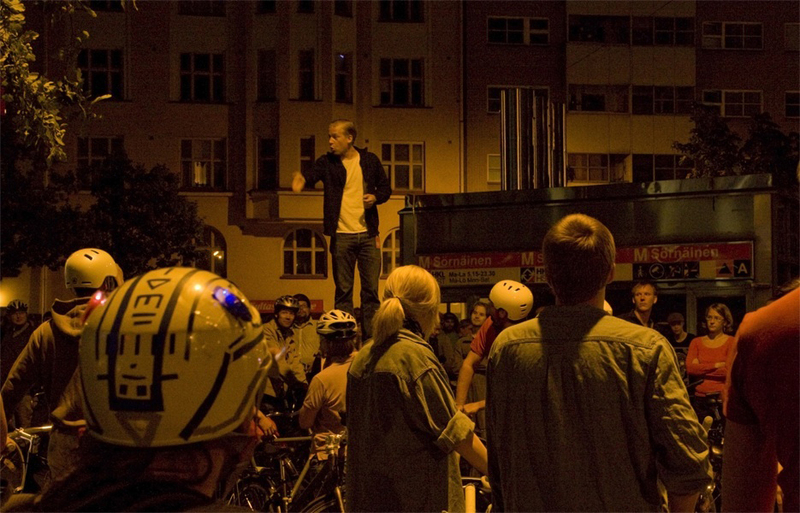 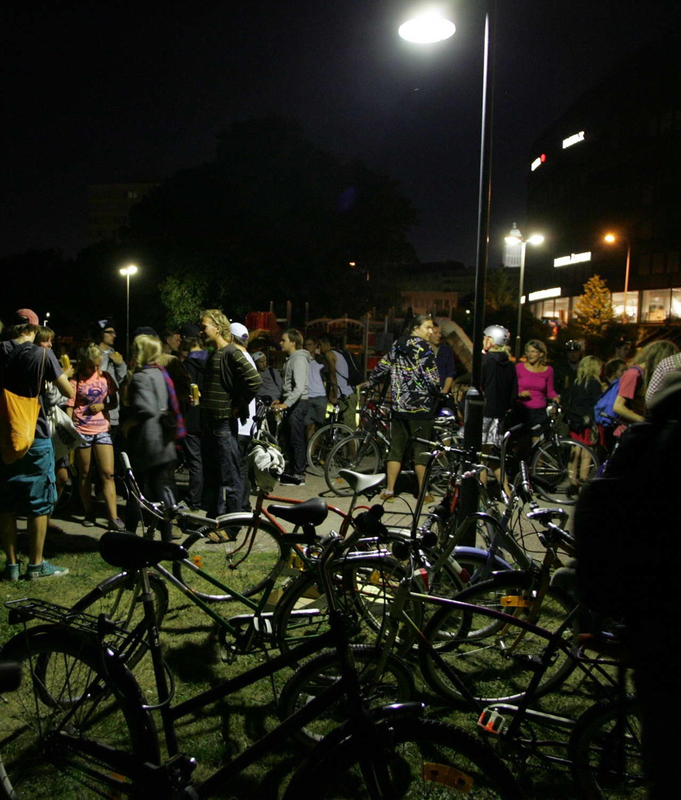 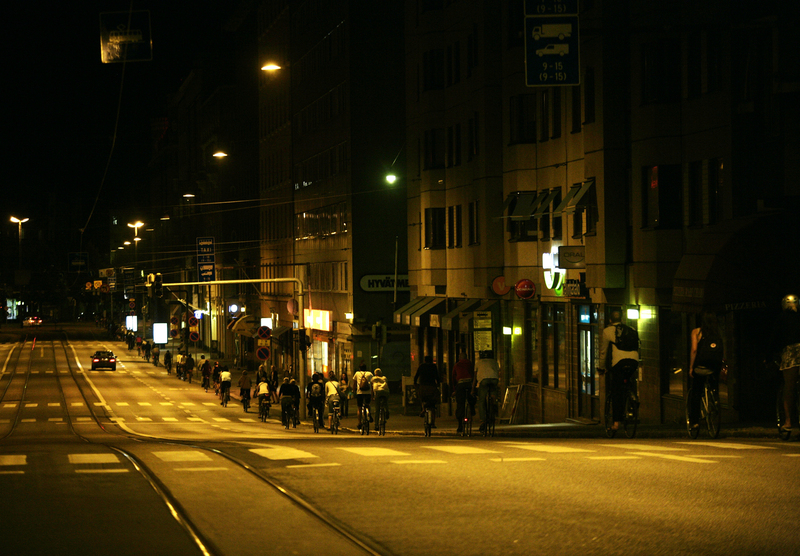 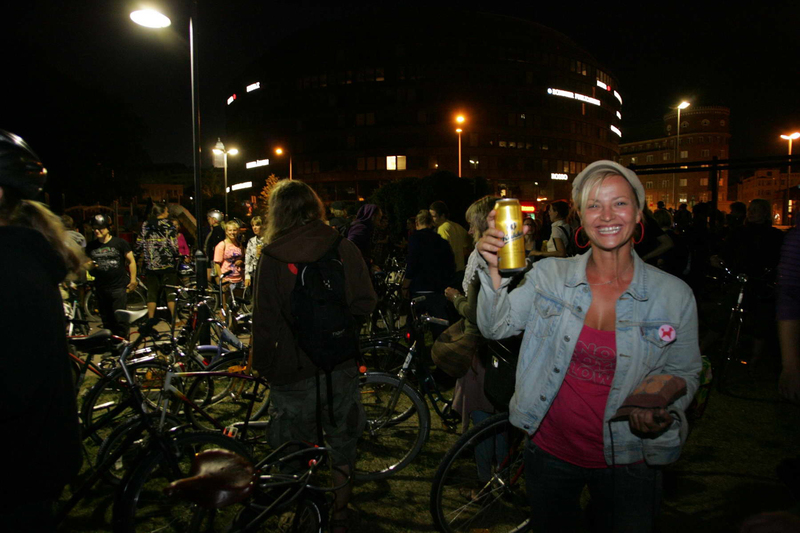 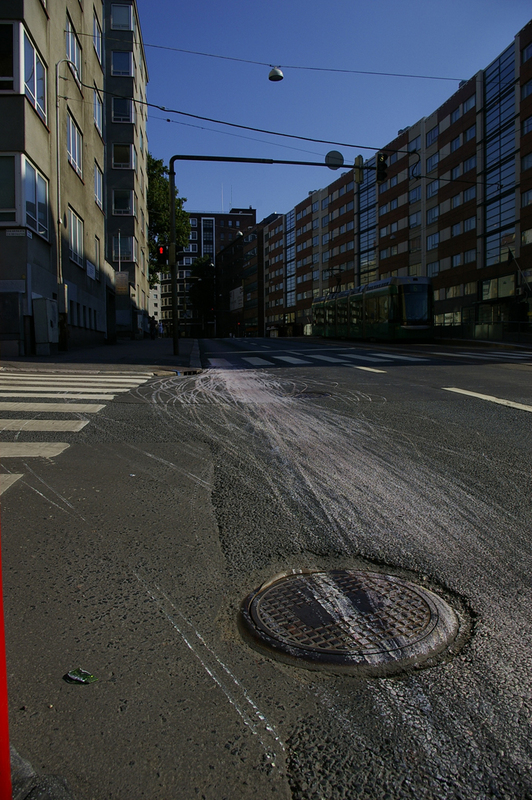 The group Länsiväylä consists of artists, activists, journalists and researchers (and whoever is needed or wants to) who are interested in Helsinki. 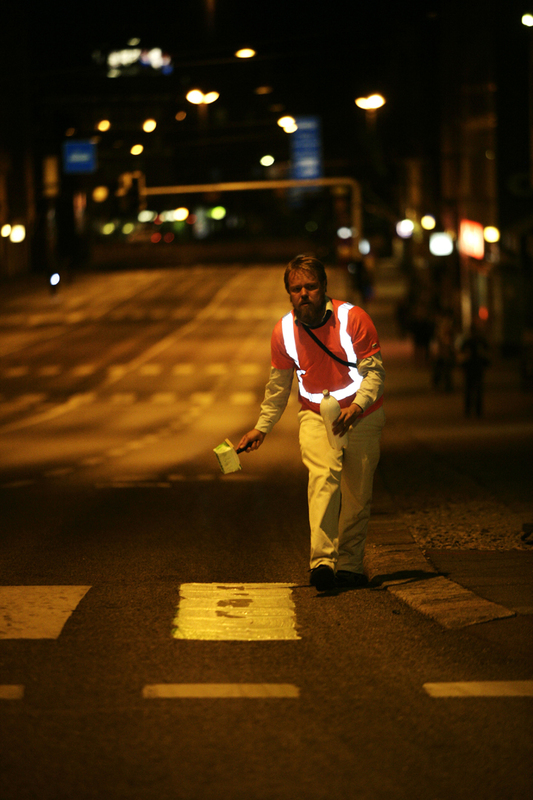 Working in the street feels both good and essential. 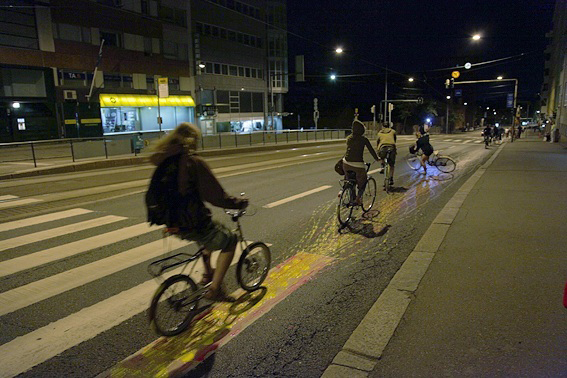 Länsiväyläs second piece the ”Pyöräilykaista” (Bikelane) was done in co-operation with Galleria Huuto at Kiasmas urban theatre festival the URB. 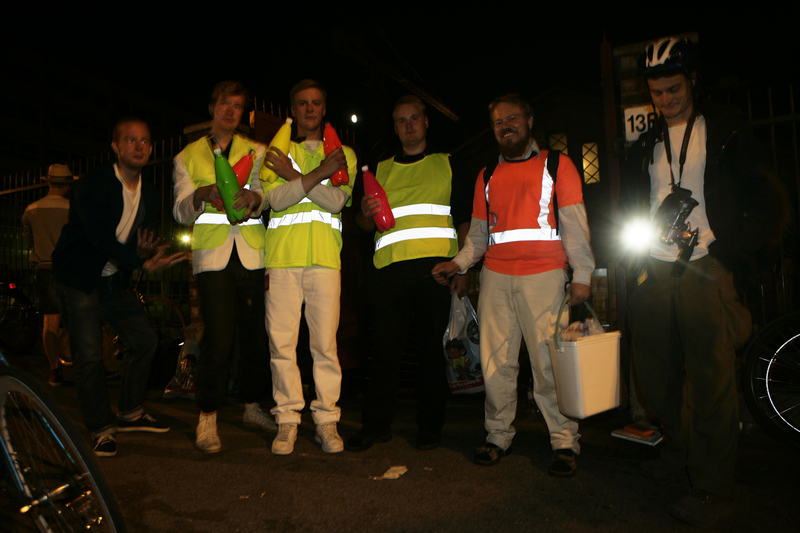 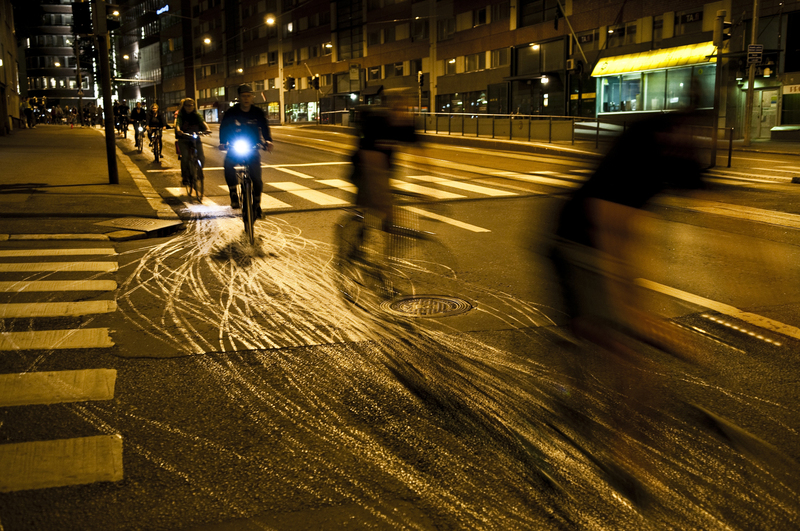 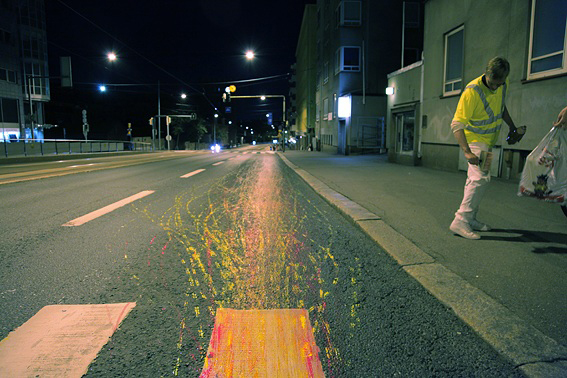 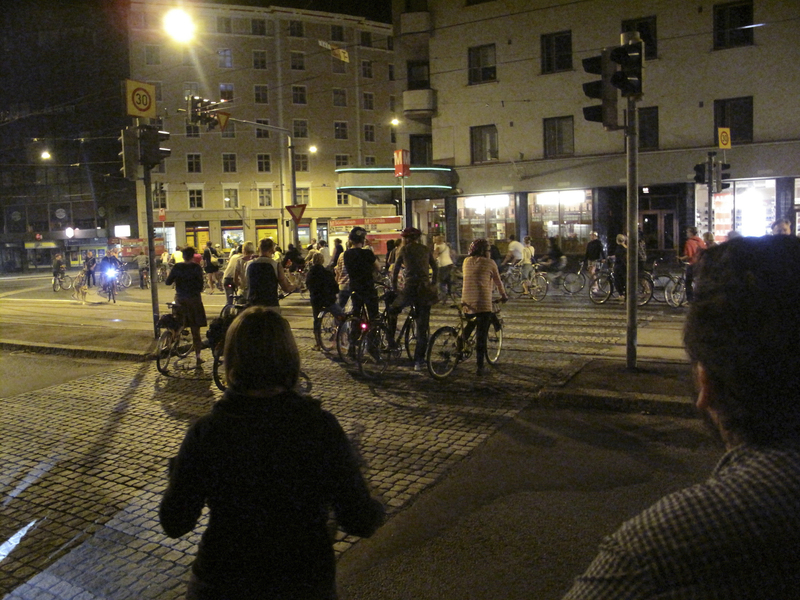 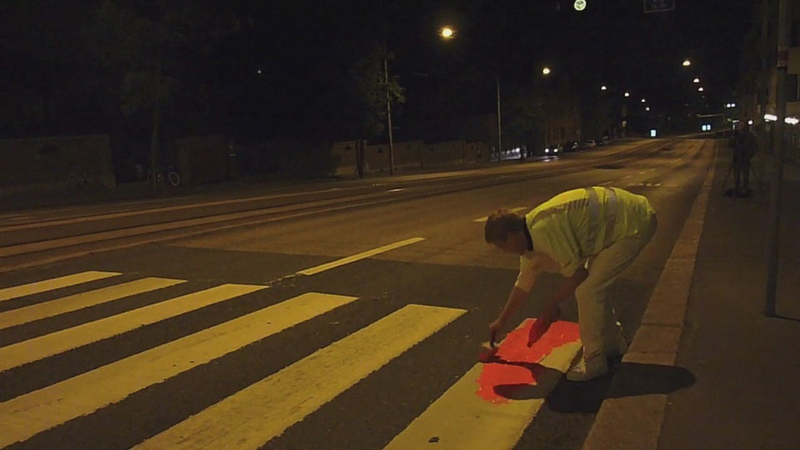 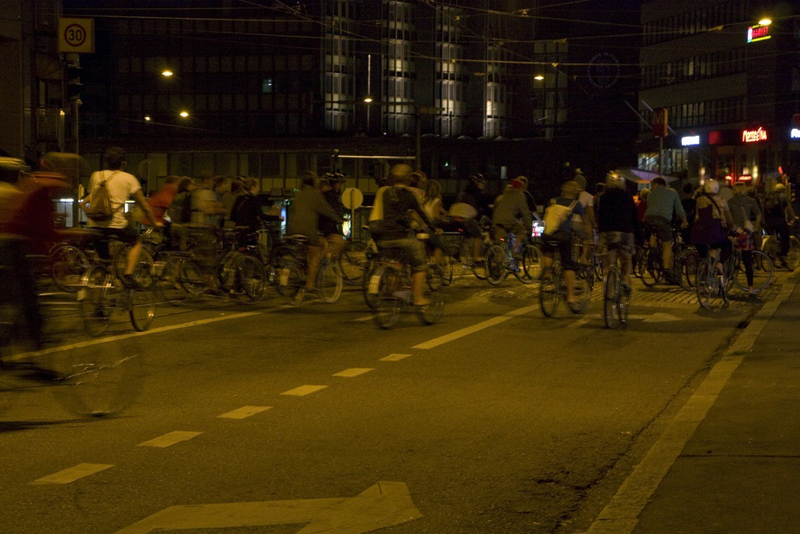 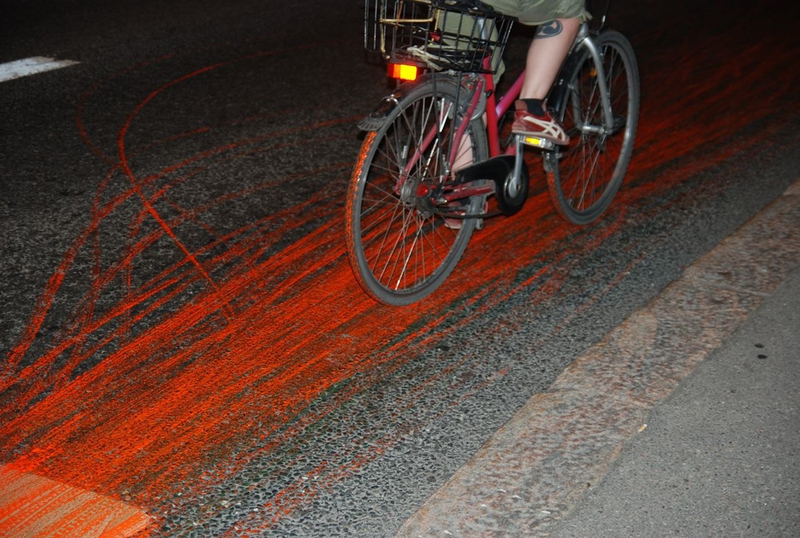 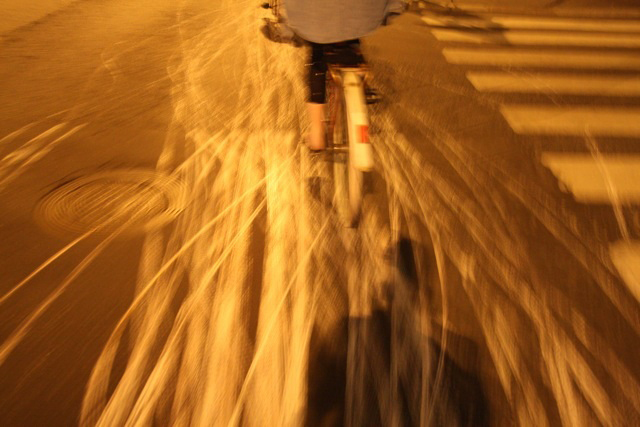 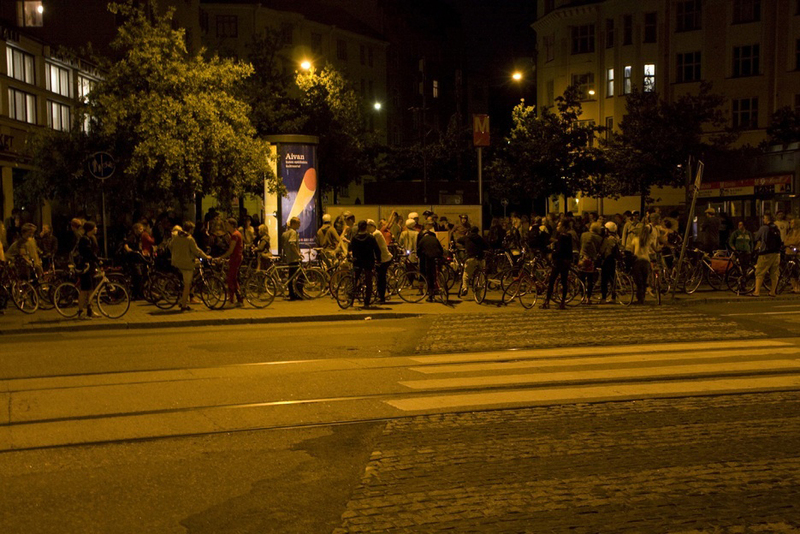 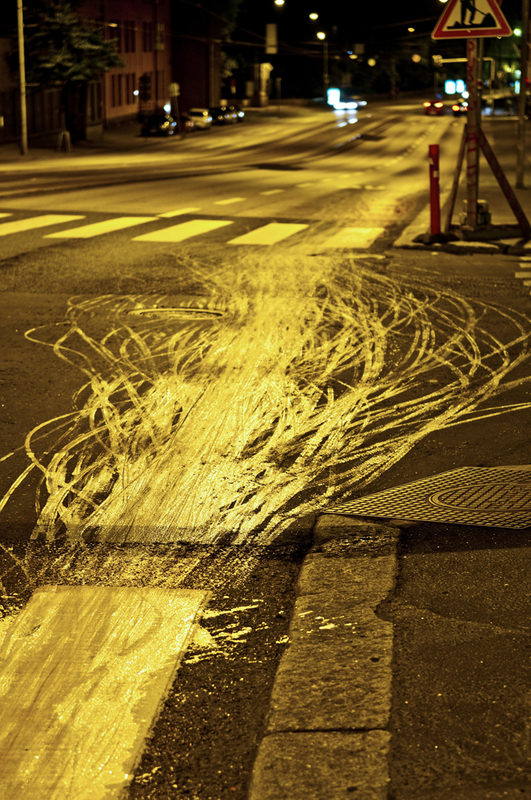 In a warm August night 2010 in Kallio, Helsinki over two hundered bikers drove down the Hämeentie, through colurful pools of paint. 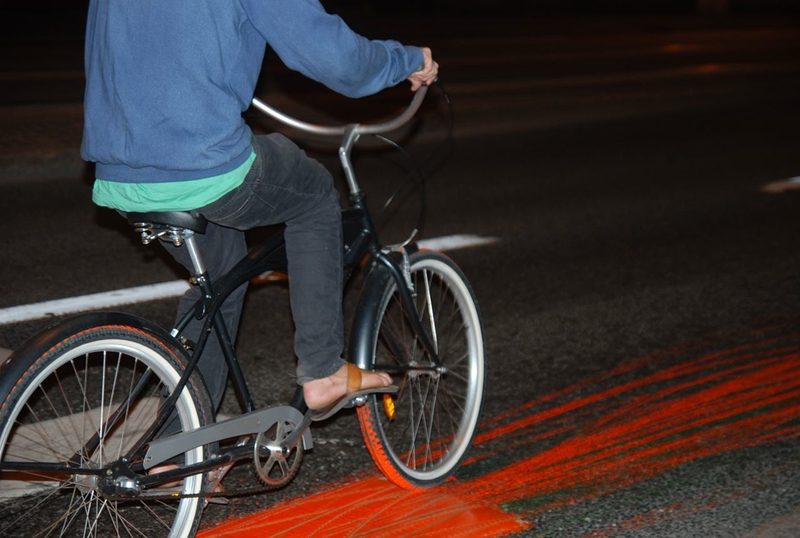 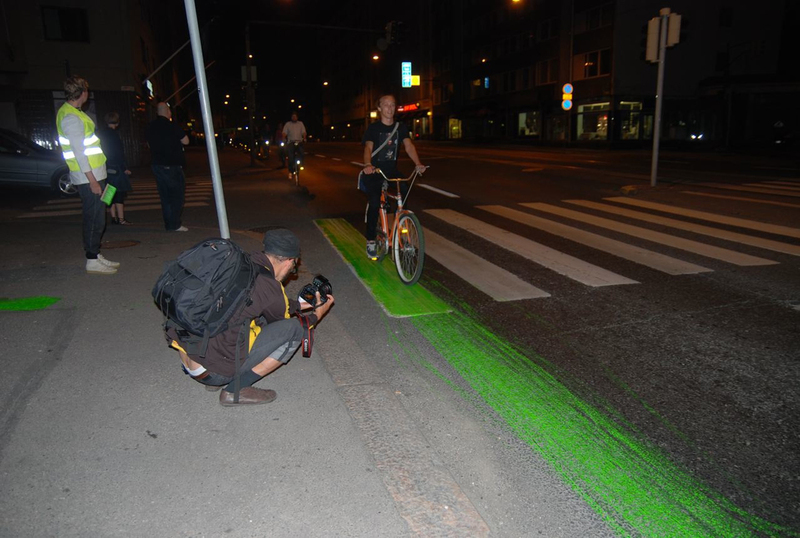 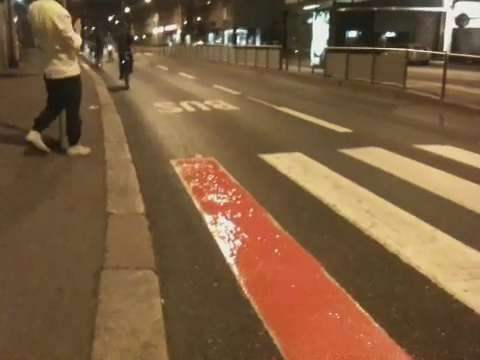 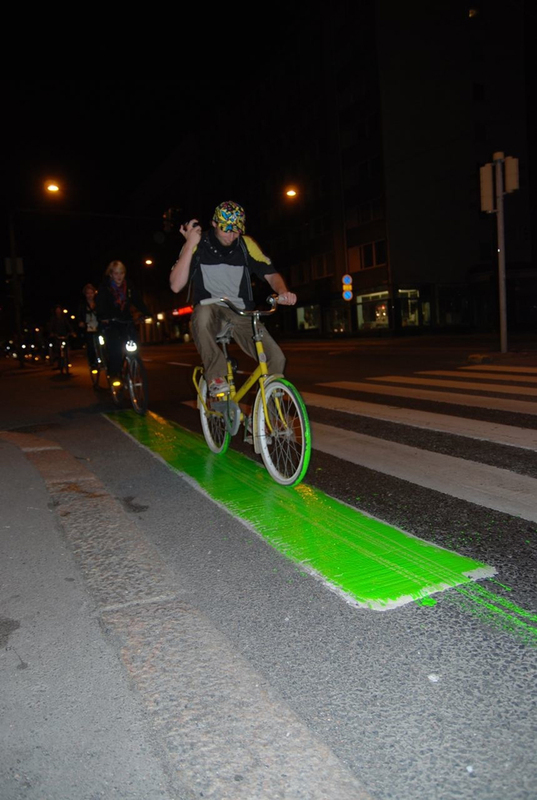 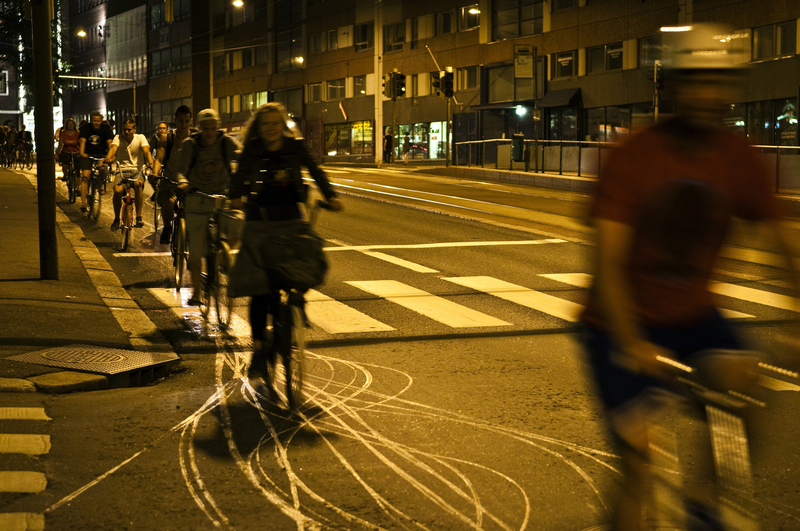 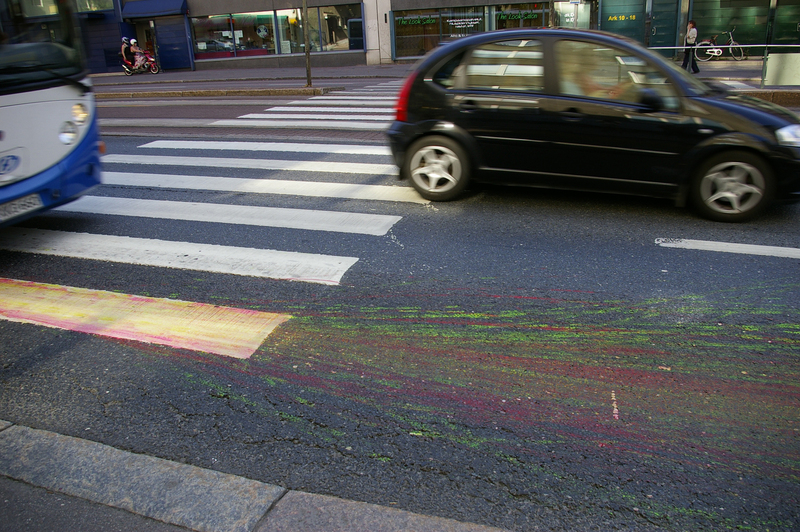 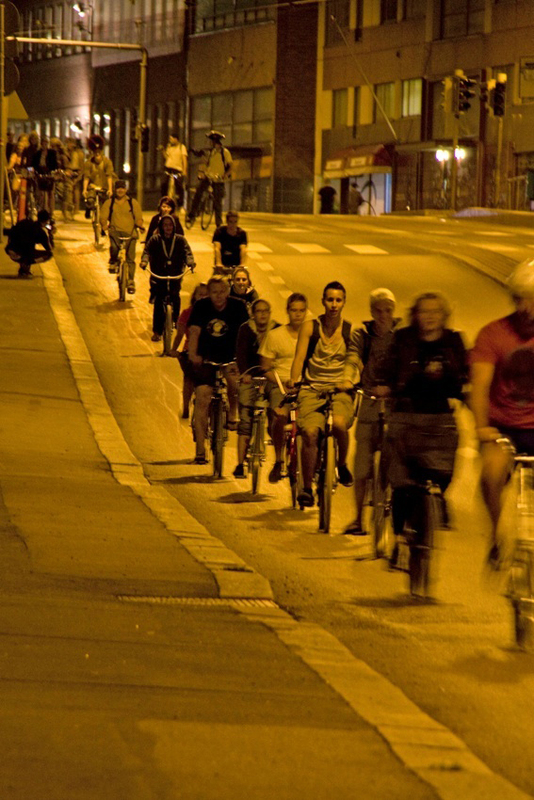 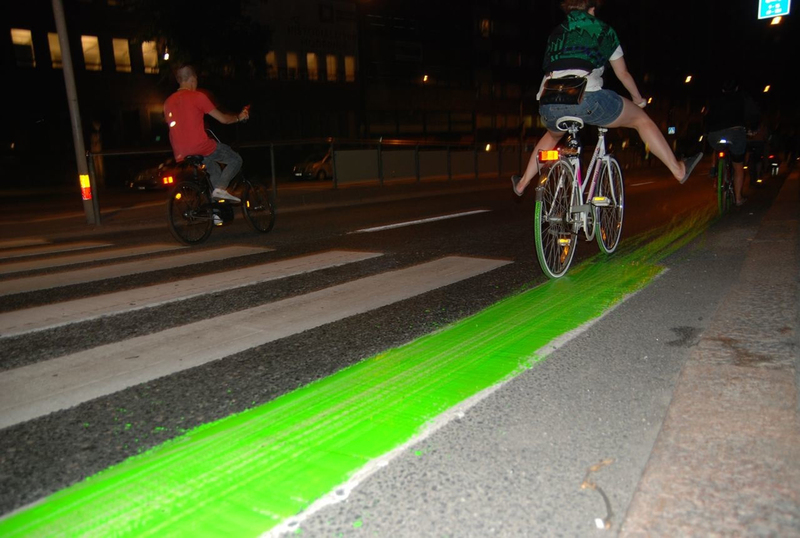 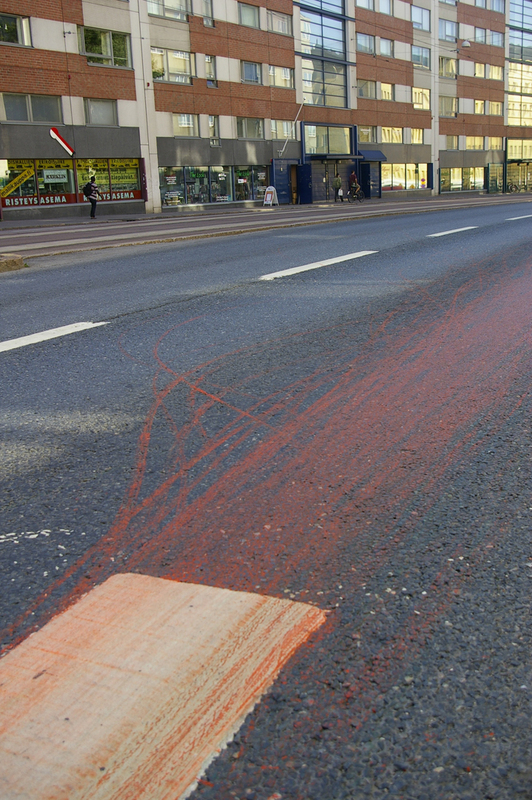 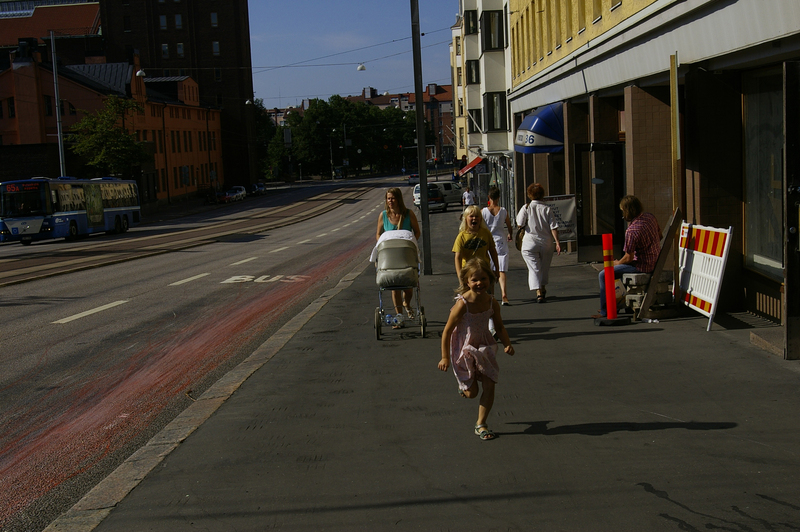 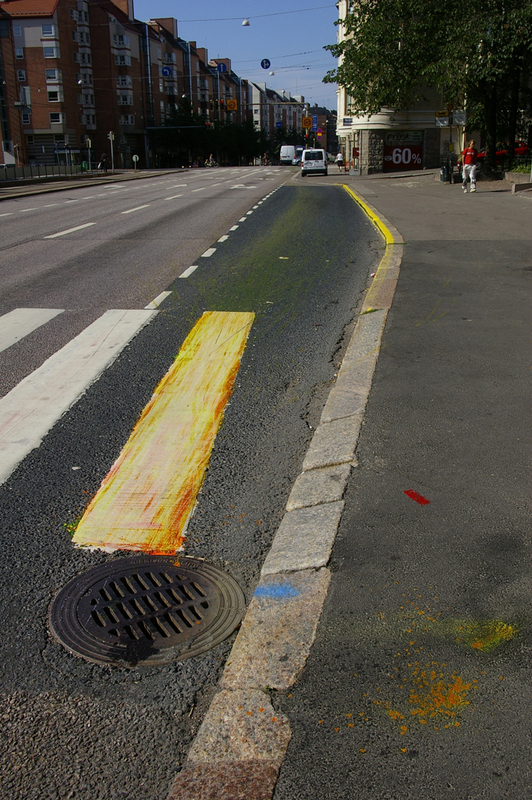 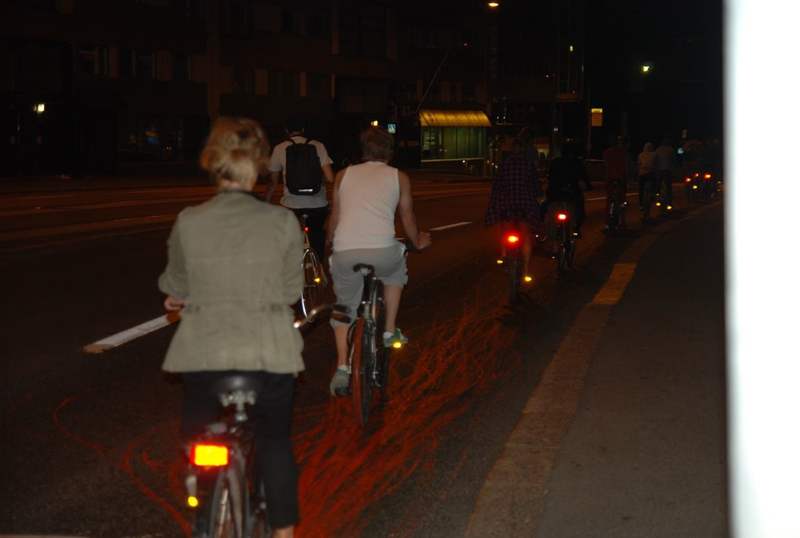 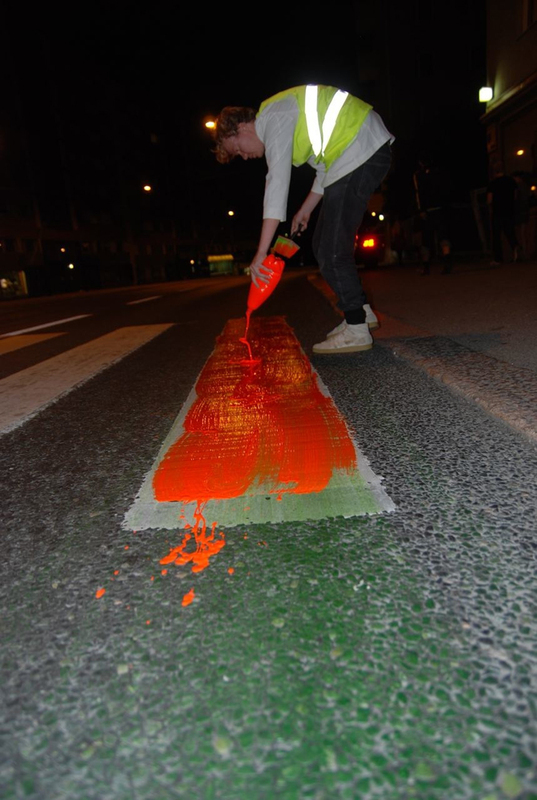 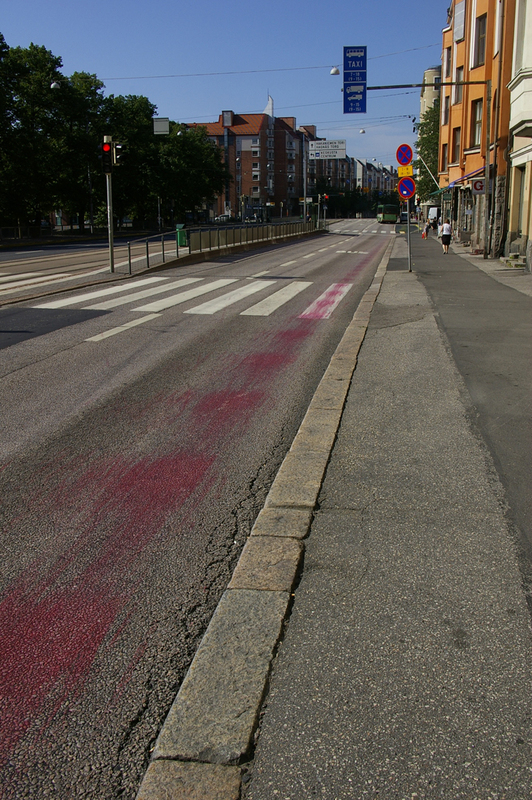 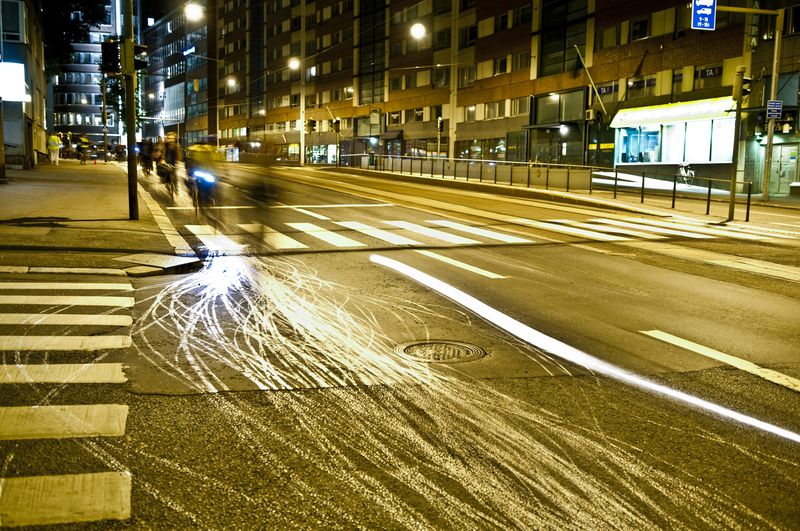 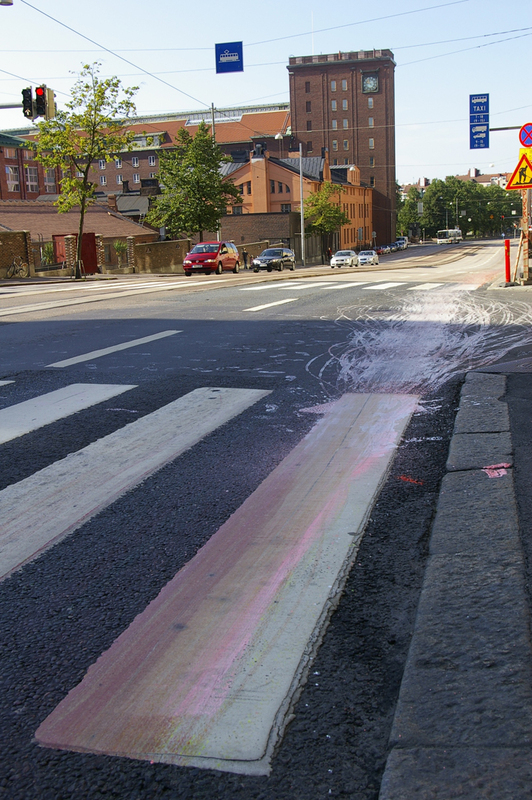 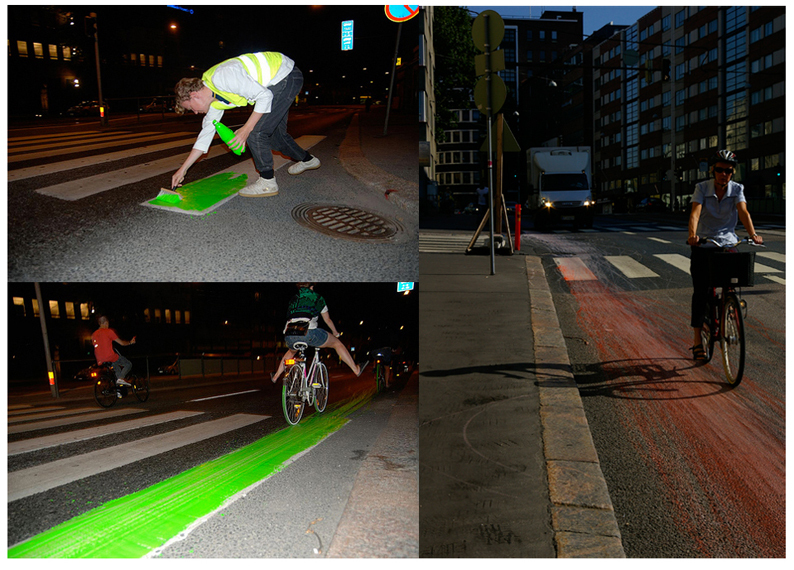 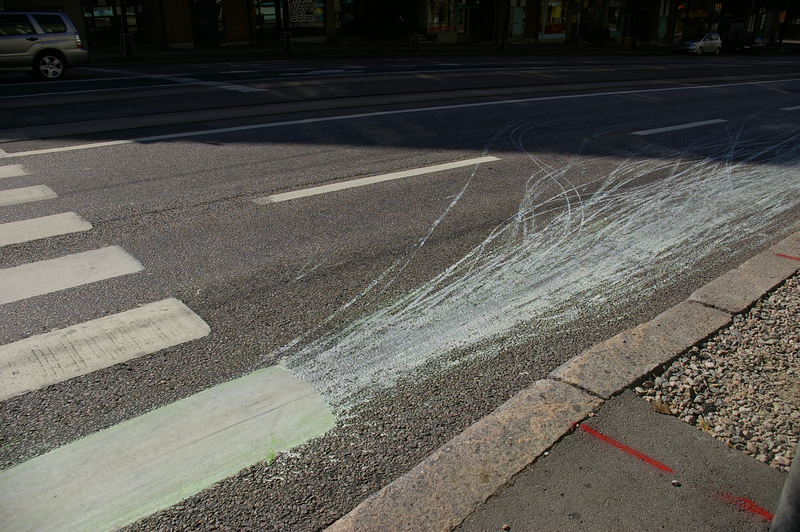 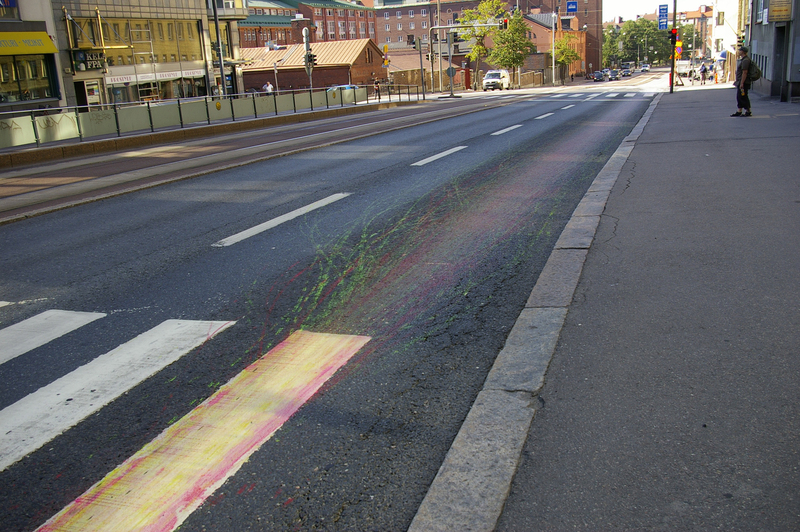 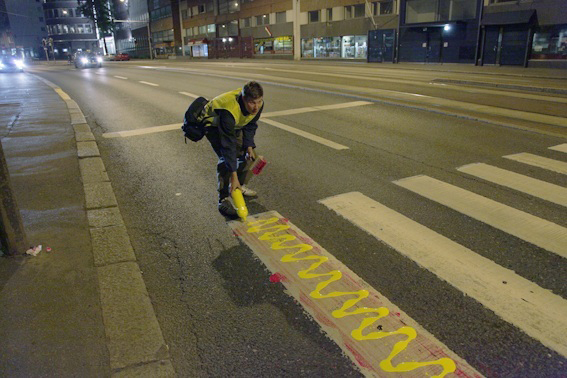 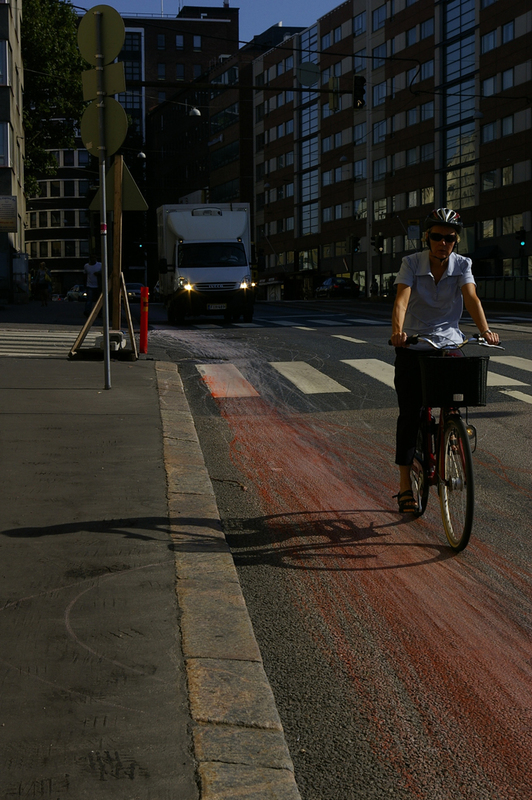 Their tires painted a much wanted bikelane to that busy street of Helsinki.